Randle has a more extensive biography on Wikipedia. His most recent book on Roswell is Roswell Revisited (2007, Galde Press, 182 pages. 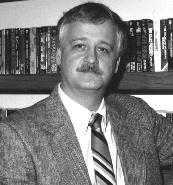 ISBN: 978-1931942508), and he has written several others on Roswell, other UFO topics, and many fiction books as well. Randle's degrees in Psychology, both a masters and a PhD, were obtained from California Coast University, a correspondence school, for which he has received some criticism. The GAO called this school a diploma mill in 2004 which offers degrees at a flat rate (A PhD costs about $5000, open book testing, and no campus attendance.) The school is now, as of 2005, accredited by DETC, but no longer offers a PhD, which, in any case, is not covered. It is still widely considered a diploma mill. Of course, Randle does not 'use' his psychology degrees to research UFOs, so the point may be moot.